Coral reefs are the result of a constant battle between constructive and destructive forces. When it comes to biologically-driven destruction, erosion by excavating sponges is one of the most important yet understudied mechanisms. 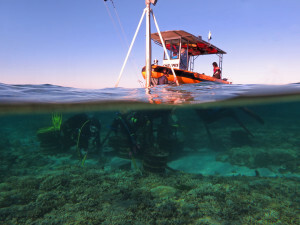 Global warming and acidification are predicted to enhance the impact of these sponges on reefs, tipping the balance to the disadvantage of corals and other calcifying organisms. 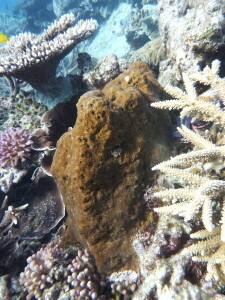 Using Cliona orientalis as her model species, Michelle’s current work aims to decipher the metabolic dynamics of bioerosion and to evaluate the resilience of excavating sponges to future environmental conditions. 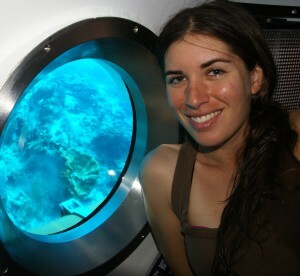 Michelle joined the Coral Reef Ecosystems lab as a PhD student in 2014 after she finished her Master’s at the University of Amsterdam working on Caribbean reef sponges and majoring in science communication. She completed her first degree at the University of Crete in her homeland Greece.